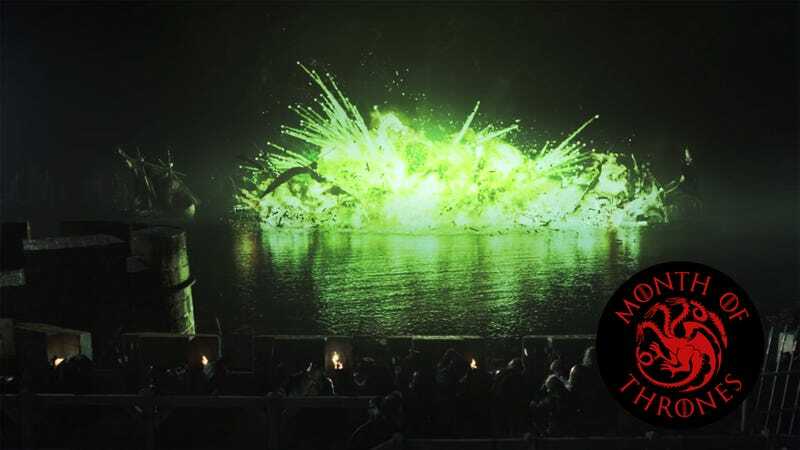 The battle of Blackwater is also notable for setting the bar that all future Game Of Thrones battles have to top, with Stannis Baratheon’s ostensibly powerful fleet getting roasted by Tyrion’s trick with the seemingly magical, green-burning “wildfire.” From there it transitions into a beachfront siege and an eventual late-game rally from Tywin Lannister’s forces. It’s a big, big, big fight that is defined by the small stuff the characters do while not fighting. In a rare move for Game Of Thrones, there isn’t really an elsewhere in this episode. There are no check-ins on Daenerys, the Night’s Watch, or any of the Starks, putting the emphasis on the battle itself. 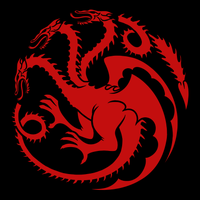 That could’ve been a subtle trick to hide the fact that Tywin is on his way to King’s Landing to steal all the glory at the end, but either way, this one is all about the big fight happening in the bay outside the city’s walls. Taken from a larger scope, this episode features the beginning of the end for Stannis, who had been a frontrunner for the Iron Throne right up until the moment his fleet got fried—even if it took a few more seasons before Stannis himself was willing to admit defeat.